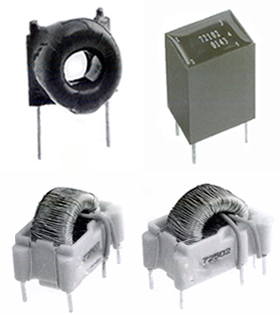 The 72-000, 72-100, 72-200, 72-300, 72-400 and 72-500 series current sense transformer are mainly used in 20 Khz - 200 Khz and above range, like in a switch mode power supply. The secondary inductance shown in our specification data is measured at the given voltage level ( the test voltage freq. is set at 15.75 Khz) shown at the right of the inductance value.